With the season just a few weeks away, Rush the Court’s Big Ten preview will tip off its coverage by posing season-defining key questions for each team. Today we address Illinois and Ohio State. #12 Illinois – Does Brad Underwood have the backcourt to create more of his first year magic? With the season just a few weeks away, Rush the Court’s Big Ten preview will tip off its coverage by posting a season-defining key question for each team. This week, we start at the bottom. #14 Rutgers – Will the Scarlet Knights score enough to climb out of the cellar? In Steve Pikiell’s first year, Rutgers doubled its overall win total, won its first-ever Big Ten Tournament game, and climbed nearly 150 spots in the KenPom ratings. Of course, the Scarlet Knights still finished dead-last in the league for the third year in a row, stymied by three-point, two-point, and free throw shooting percentages that ranked among the worst 25 teams nationally. The good news for Pikiell is that significant incoming talent — headlined by four-star power forward Mamadou Doucoure and three-star combo guard Geo Baker — should help diversify Rutgers’ scoring potential. Doucoure, who joins the 2017 class after reclassifying in August, adds needed size to the Scarlet Knights’ frontcourt and should take defensive pressure off senior Deshawn Freeman, who’s proven to be a capable scorer in addition to his rebounding prowess (7.8 RPG). Baker — by all accounts an adept passer and playmaker — adds sorely-needed perimeter shooting and offensive versatility. He should help fill the shoes of Nigel Johnson, a departing graduate transfer who was the team’s best three-point shooter a season ago (36% 3FG). Equally important will be the addition of JuCo transfer Souf Mensah, whose presence at point guard should help leading scorer Corey Sanders (12.8 PPG) play off the ball more regularly and, presumably, score at a more efficient clip. 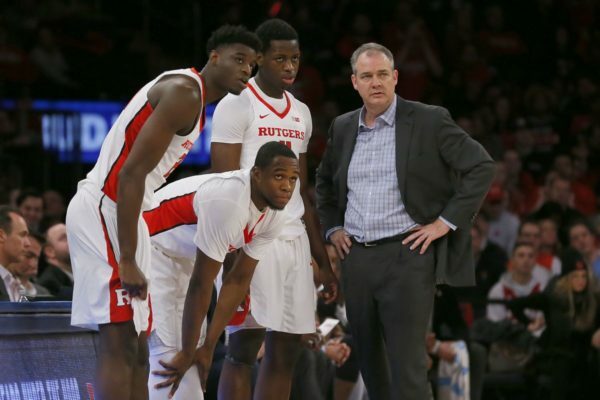 Like Pikiell’s best teams at Stony Brook, Rutgers’ improvement was defined by hard-nosed defense and rebounding last season. Coupling that identity with a more capable offensive attack would make the Scarlet Knights far more competitive in 2017-18. After Ohio State’s home overtime loss to Florida Atlantic earlier this week, along with the very real threat of missing a second consecutive NCAA Tournament, it is time to admit that something might be wrong in Columbus. 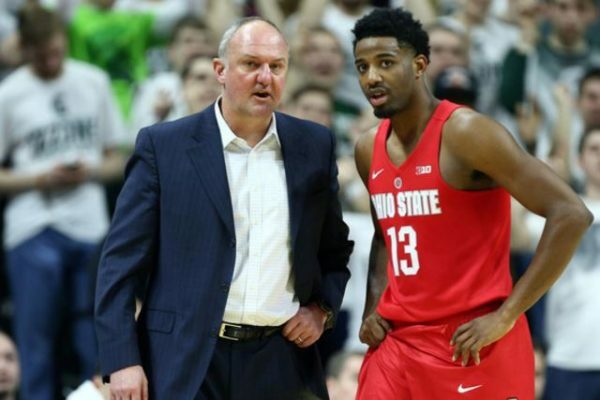 Head coach Thad Matta is currently in the midst of the most difficult stretch of his 13-year career with the Buckeyes after a dominant run that included two Final Four appearances, three Elite Eights, five Sweet Sixteens and four Big Ten regular season and tournament titles. The program’s momentum clearly seems to have stalled, and we’re left to wonder if this is a permanent decline for the former rising star or a just an inevitable rough patch after several years of sustained success. One possible explanation for the recent downturn is related to Matta’s recruiting stumbles in recent years — mistakes which may not be evident to many — and the cascading effects they’ve had on the current roster. Keita Bates-Diop (right) has been good, but not quite to the level of expectations of a top 30 recruit (Jay LaPrete, AP). In his most successful years, Matta relied on top-tier talent to fill out his roster. Ohio State landed a top 10 recruiting class in five of the six cycles between 2006-11, populated by transcendent players like Greg Oden, Evan Turner and Jared Sullinger, first round talent like Mike Conley, Daequan Cook, Kosta Koufos and Byron Mullens, and college standouts like David Lighty, Jon Diebler, Deshaun Thomas and Aaron Craft. Matta’s 2012 and 2013 classes, however, fell outside the top 25. The effects of this lull in talent procurement were latent because Thomas and Craft played into their upperclassmen seasons. The Buckeyes bounced back with top 10 classes in 2014 and 2015, but for various reasons their results have been mixed. 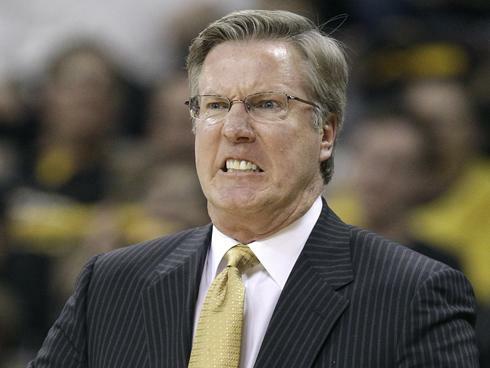 The annual late-October release of KenPom’s preseason rankings is a sneaky-big holiday for college basketball fans. Though Ken Pomeroy himself admits that his system takes up to a month to work out the kinks and accumulate enough data to be reliable, it is still fun to see where teams fall given the effectiveness of his past rankings. One Big Ten team that turned heads this preseason was Ohio State, which came in at #13 despite not making the NCAA Tournament last year. A primary reason for that ranking was Pomeroy projecting the Buckeyes’ defense as the eighth-best in college basketball. The Buckeyes finished last season at 43rd in that metric, but KenPom heavily weighs coaching history and continuity of minutes. To those points: Thad Matta’s average defensive ranking at Ohio State in the last 12 years is #21, and the Buckeyes returned their top six players in minutes from last season. Still, jumping from a solid-not-spectacular 43rd to among-the-elite eighth would be a major leap. Is this group of Buckeyes capable of that level of defensive improvement? Matta needs Lyle to step up in order for the Buckeyes’ defense to truly thrive (Mike Carter, USA Today Sports). Matta’s best defenses have come in various forms over the years. The 2011-12 squad, led by Jared Sullinger, dominated the defensive glass, while the 2013-14 team utilized the inimitable peskiness of Aaron Craft and the quick hands of Shannon Scott to force turnovers and harass perimeter shooters. This exhibits that Matta will mold his defense to the talent of his roster, and the strength of this year’s squad is definitely in its length and athleticism up and down the lineup. In the backcourt, JaQuan Lyle is a 6’5” point guard capable of guarding multiple positions, while Jae’Sean Tate, Keita Bates-Diop and Marc Loving are interchangeable parts on the wings and at the four. Up front, Trevor Thompson is one of the Big Ten’s best shot-blockers (7.3% block rate last season), or Matta can play freshman Micah Potter, who is more of a positionally-sound defender that can switch screens with the wings without much issue. On paper, using that length and versatility to switch almost every screen and bother drivers and shooters, the Buckeyes’ defense absolutely has top-10 potential. After an uninspiring first half of the season, Ohio State has over the last few weeks slowly but surely crept back into the Big Ten race. The Buckeyes are unlikely to contend for the title but they are all alone in fourth place at 10-5. Teams among the top four of power conference standings in late February are usually considered safe bets for the NCAA Tournament, but Thad Matta‘s group is challenging that notion. 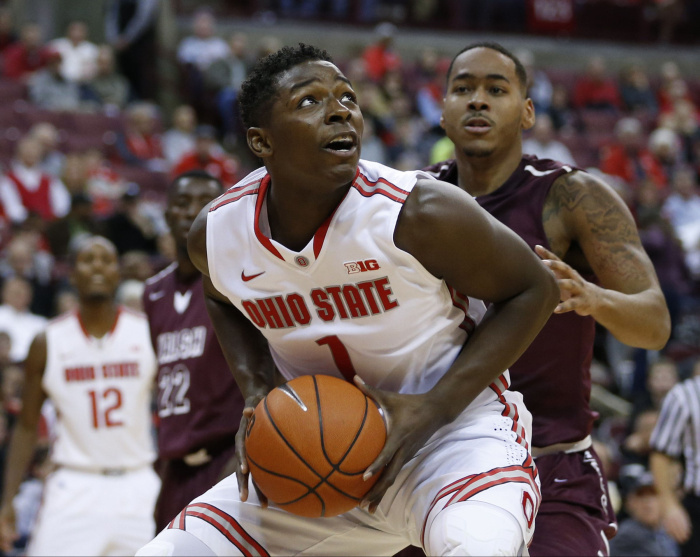 After a miserable start to the season that included early losses to UT-Arlington and Louisiana Tech, the Buckeyes are now in position to lock up a bid with another good win or two. There’s just one problem, though: Winning another regular season game won’t be easy. Ohio State plays Michigan State twice in its final three games with a home date against Iowa sandwiched in-between. Double-figure conference wins is usually enough for an at-large bid from the Big Ten, and every 11-win team in the history of the league has made the field of 68. But as we’ve learned in the era of expanded conferences, not all records are created equal. Eight of Ohio State’s conference wins came against Rutgers, Minnesota, Penn State, Illinois and Northwestern. The other two were notched against Nebraska and fellow bubble team Michigan. Furthermore, Ohio State has just one RPI top 100 win from the non-conference season (Kentucky). This means that the two wins over the Wolverines and Wildcats are the Buckeyes’ lone RPI top 100 wins of the season, and that they have more losses to teams outside the RPI top 100 (three) than wins over teams within it. Losses to Texas-Arlington, Louisiana Tech and Memphis all stink about as much or more as they did at the time. The tally to this point is that 18-10 record and an RPI rating of #75. One more win pushes Ohio State to the 11-victory mark, but that won’t do much to improve the Buckeyes’ overall resume. Two more wins would result in a 4-8 record against the RPI top 50, but even 12 conference wins combined with an early Big Ten Tournament loss would make for a tense Selection Sunday. Three wins, however unlikely, means that Ohio State can think about seeding options instead of worrying about a bid. Go winless and the Buckeyes would need a deep conference tournament run and some luck around the country among the other bubble teams. On paper, Ohio State came into this season with one of the youngest and most intriguing rosters in the Big Ten. On one hand, the Buckeyes have a great coach in Thad Matta and plenty of talent on the team; on the other hand, they have one upperclassmen who has played significant minutes and plenty of questions about how all the new pieces will mesh together. On Sunday afternoon Ohio State won its lid lifter in disposing of Mount St. Marys by a score of 76-54. They held the Mountaineers to 33.3 percent shooting from the floor and won the battle of the boards by a hefty 50-22 margin. Turnovers and defensive lapses, however, show that while parts of this win were impressive, Matta’s team still has a lot of work to do. Trotting out a lineup no player shorter than 6’4″, this game was a physical mismatch. 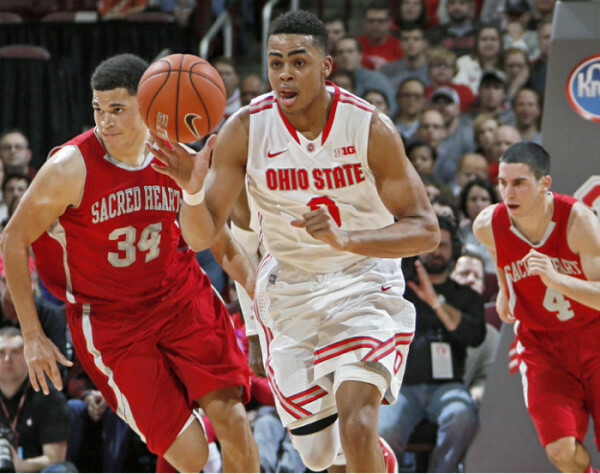 As a result, the Buckeyes shot 22-for-38 in the paint and snagged 44.8 percent of the available offensive rebounds. Junior Marc Loving and freshman Daniel Giddens were the ringleaders here, combining for nine offensive caroms by themselves. Offensively, Jae’sean Tate scored a game-high 21 points in a much more diverse way than he did a year ago, and Keita Bates-Diop notched a double-double with ten points and ten rebounds. Despite not scoring with great frequency, the latter showed enough versatility to do a little bit of everything down the line. Lastly, JaQuan Lyle was able to seemingly get into the lane at will. At 6’5″ and 230 pounds, he will be a physical nightmare for opposing point guards. In a year when the Big Ten’s freshman class made much more of an impact than last season, picking a five-man outfit of rookie players was an arduous process. That difficulty exhibits that the future of the league is in good hands if the majority of these players stick around for several years at their respective schools. That’s probably wishful thinking for a couple of them, but here’s our RTC Big Ten All-Freshman Team. Tate really came on once he became a starter, as his numbers jumped to 12.1 PPG and 5.5 RPG over the last 12 games. An undersized power forward, the Ohio native plays much bigger than his listed height of 6’4″. McIntosh was not the most highly-touted member of Northwestern’s five-man recruiting class this season but he admirably assumed the point guard duties right away. He has some defensive issues to improve but he is an adept passer with the ability to make shots from deep and score in a variety of other ways. Blackmon Jr. was one of many three-point bombers on an Indiana team that ranked third in the nation in shooting the three (41.0%). His numbers dipped late in the season ( 22-of-68 from three in his last 11 games), but he still led the Hoosiers in scoring 12 times on the year. In many seasons Trimble would have been the clear Freshman of the Year as he led Maryland to a highly-surprising 26-5 regular season mark. 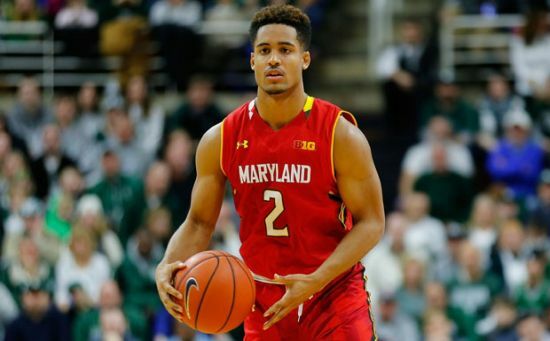 He’s not a pure point guard in terms of his passing abilities but his skill in finishing plays coupled with a respectable 39.1 percent mark from three-point land makes him a major reason why the Terps are back on the national scene.